Are you looking for the perfect SUV? 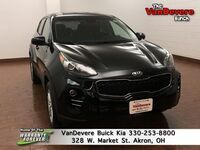 Perhaps you are already sold on a Kia for the style and the impressive 10-year or 100,000-mile powertrain warranty, but do you know which SUV you should get? This is where we can help. 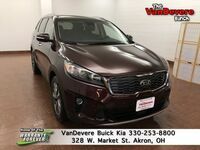 We’ve built a comprehensive 2019 Kia Sorento vs 2019 Kia Sportage comparison that will help you decide which SUV is right for your needs. The Sorento, featured on the left, has a bold grille area that compliments the Kia style. The Sportage, featured on the right, is known for its unique headlights and front profile. 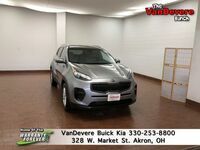 If you learn more by browsing through an inventory, then you can check out both the Sorento and the Sportage inventory at VanDevere Kia by clicking the link below. 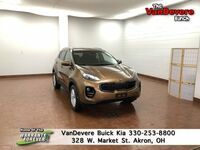 Our dealership is proudly located in Akron where we can serve all of Northeastern Ohio. How do the Kia SUVs compare? The biggest difference between these two SUVs, outside of their style, is how much room they offer. The Sorento is the bigger brother of the Sportage. As such, it gives you seating for 7 with a total of three rows. That means two can sit in front and in back with three in the middle, and all of them can be comfortable. 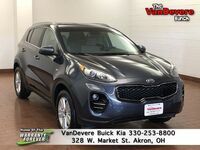 The Sportage still offers ample room, but it doesn’t have that third row. 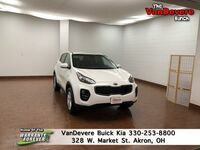 When it comes to cargo room, they both offer a lot again, but due to the size of the Sportage, you just get a little more. Both the third and the second-row fold down to allow for a very configurable interior. When you get a bigger vehicle, there is always a concern that you will take a big hit in terms of fuel economy, but here that is just not the case. Both models offer excellent fuel economy. What’s more, both of these models have available all-wheel drive. If you’re worried about inclement weather making the roads difficult to navigate, then either Kia model has your back. There’s a reason we brought up price last. Both of these models are priced very close to each other, and with similar fuel mileage, they will have a similar cost of ownership. Ultimately, this means you should just pick the one that suits your needs. 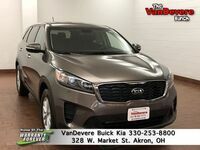 If you have a lot to haul, whether it be people or cargo, then you should get the Sorento. 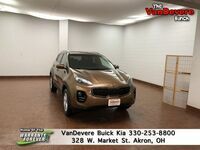 Otherwise, if you’d like to save a little or maybe you are just attracted to the plucky looks of the Sportage, then you may want to lean that way. Either way, you can’t lose! 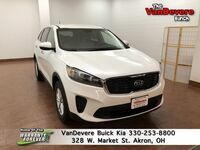 Interested in a 2019 Kia Sorento or Sportage?